We have noted the Japanese genius Kazuya Ishigami with his Cleaner 583 record (please see that post for this fellow’s story and background)…he proceeded to send us a large bundle of CDs which arrived 31 July 2017, all of them released on the Kyou Records label which he co-curates with Yasuyuki Nakamura. A number of them appear in a series called “Neo Electroacoustic Ambient”, a project which he describes as “new noise/music from completely different levels”. He curates the series himself, selecting which artists to represent, and is intent on escaping “the tradition of the past” while remaining true to “the continuity of history”. 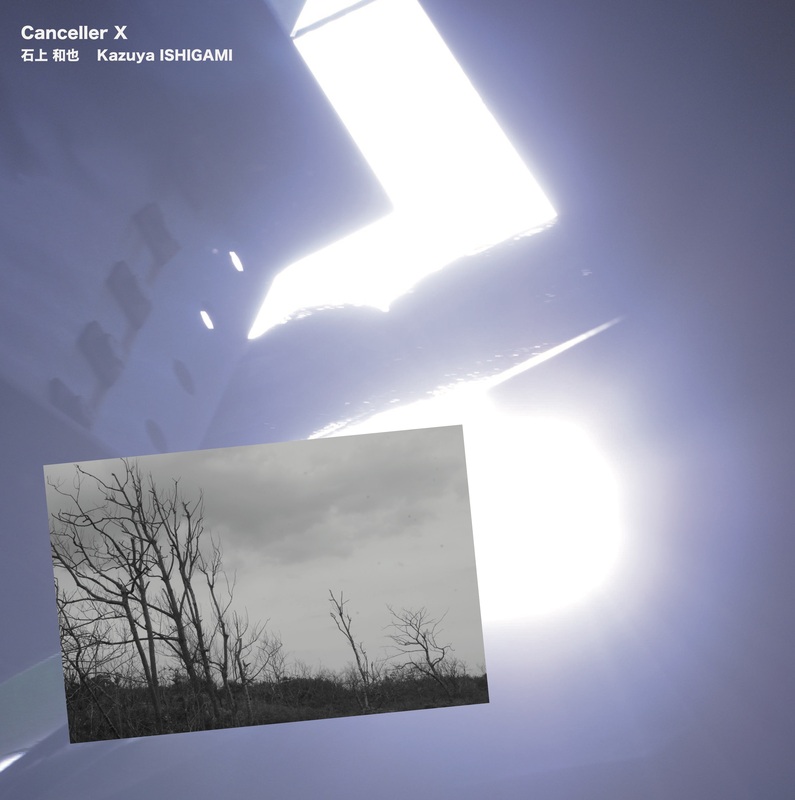 The album Canceller X (KYOU-001) is No. 1 in this series and is credited to Kazuya Ishigami himself. 14 tracks of crystal-clear, pure electronic tones creating beautiful contemplative music. Most of the tunes refer to “memory”, expressing the idea of memories in terms of playbacks and cancellations; as if human memories could be stored on a databank and instantly recalled for replay. To further this idea, inserted cards in the wallet include simple and touching images of bare trees, the ocean, the sky…already I feel like we’re in a sci-fi movie scenario, one that’s much more subtle and deep than Blade Runner. The music is strangely fascinating; as with last time, the delicacy and fragile nature of his tones make it hard to grasp onto anything tangible, yet something persists, and persists in a very hard and indelible manner. Ishigami exploits digital technology to get these clean, hard lines; yet the assembly / composition is anything but machine-like, following an intuitive logic. This raises him well above the level of many musicians who let the computer make too many decisions on their behalf. There’s no need for him to overstate any of his ideas, and everything proceeds at a similar unhurried, deliberate pace; not a single detailed is fluffed, not a minute of time wasted. Despite the relative brevity and compactness of these tunes, one feels we’re getting glimpses of infinite space in every vista he limns and designs. A strong statement and a beautiful record of unique electronic music.